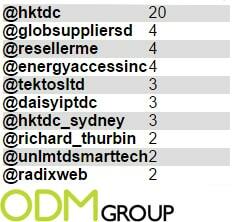 Global sources fair and the Hong Kong Electrical Fair have just finished and ODM have been tracking both of these events. These events were some of the largest in the world for electrical products. April is a busy month for all things electrical – having two huge electrical trade fairs back to back in China. 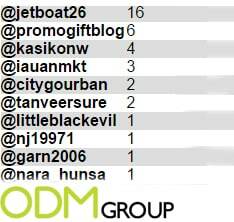 The ODM group followed the events closely and gathered information from over 100 tweets before and during the events. After analyzing this information we created the following word cloud, with the number of mentions being represented by the size of the word. 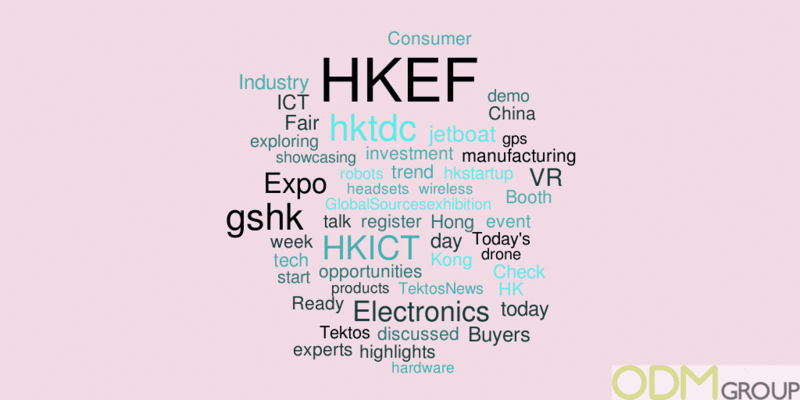 As seen in the word cloud the big focus was on” Electronics” which was to be expected with them both being electrically focused Trade shows. The most interesting word presented in the cloud was that of “VR” or virtual reality showing its rise in popularity and accessibility this year to consumers; taking off with with VR applicability with modern phones. These word clouds are great at understanding what it is that attendees are talking about and what they find to be most interesting from this event. Alongside these events being tracked, we also found out who the top 10 most active people on twitter were for both events. This type of event provides a good opportunity to increase your brand awareness through the use of social media. The top 10 for each are listed below. Staged annually in Hong Kong Convention and Exhibition Centre it is an exciting and huge business-to-business event presenting a diverse range of electrical products from around the world housing it all under one roof. It provides a unique opportunity for the whole global electronic industry to meet, network, negotiate and conduct business. 2015’s HKEF saw a huge amount of Exhibitors and Visitors, averaging at 3,575 exhibitors and 66,204 visitors over a huge area of 78,166 sqm. This year is said to have grown with the rise in technological interest. So lets hope this continues onto next year bringing even more interesting items and promotional products to businesses. Staged annually in Hong Kong’s Asia World Expo this is a sourcing focused electronics fair that is spread over two weeks. The event is an exciting opportunity for businesses to meet and share what they have produced and what they want and what they are looking for – Be it promotional or just a regular item. Like the HKEF fair it provides a unique opportunity for the whole global electronic industry to meet, network, negotiate and conduct business. 2015’s GSHK saw a huge amount of people visiting to witness the variance in electronic products. The first week focused on home, office, auto security and general components. this included products like radios, TV’s and camera’s. The following fair focused more on smartphones, tablets wearables and accessories such as smart watches and headphones – next year bringing even more interesting products to businesses.